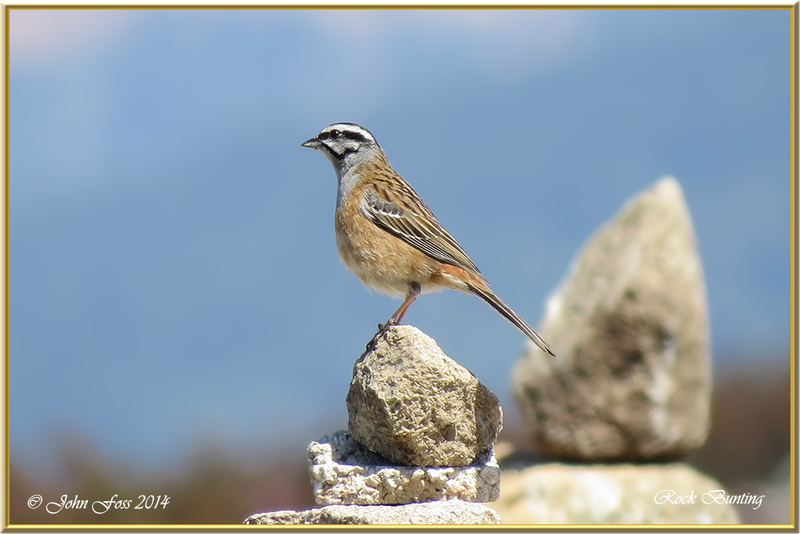 Rock Bunting - The Rock Buntings habitat is around dry rocky hillsides with sparse vegetation or among crags and ruins. 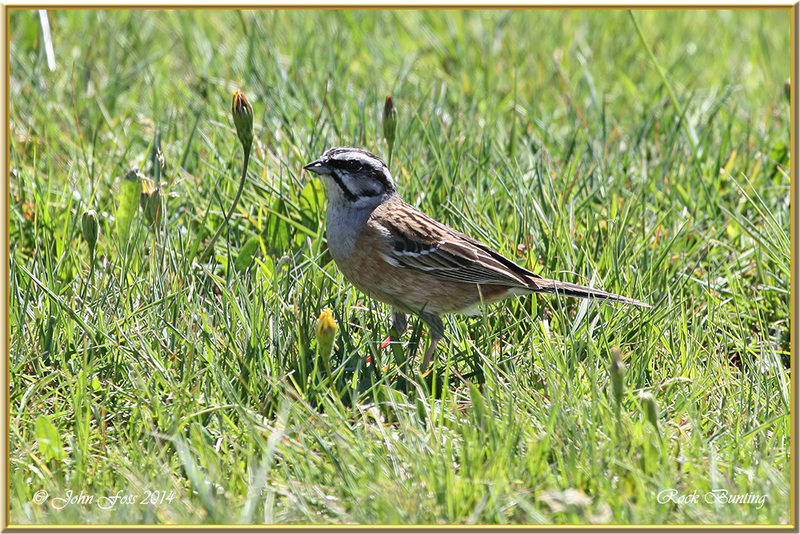 Often at fairly high altitude a ground nesting bird rarely found away from rocks. 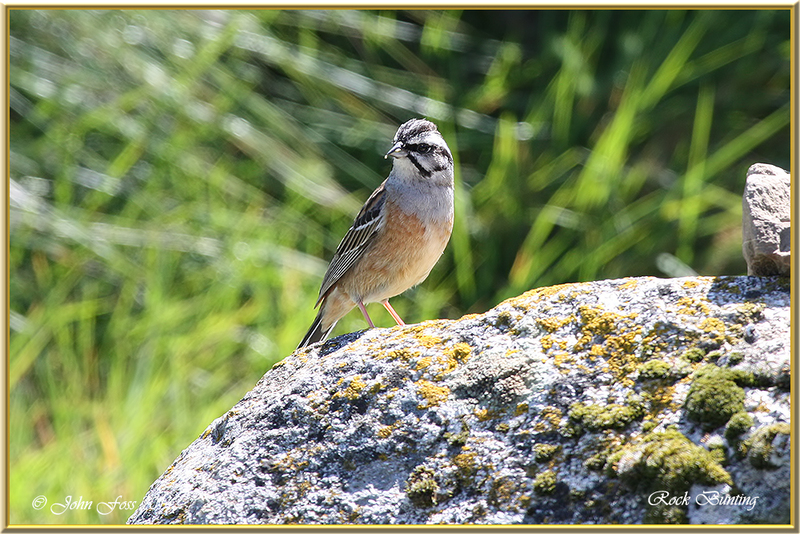 Not too surprising then I observed these birds at the top of Mount Foia, the highest mountain of the Algarve at Monchique Portugal. Rarely seen in Britain.